At Toyota, the top priority is always protecting the drivers and passengers who trust us to keep them safe during every journey. That’s why Toyota developed Toyota Safety Sense™, an impressive collection of active safety features that come standard on most new Toyota vehicles at no additional cost. Designed to help you avoid accidents, increase your awareness on the road and protect you should a collision occur, Toyota Safety Sense™ will let you drive with more peace of mind no matter where the road takes you. Learn more about the various components of Toyota Safety Sense™ and its more advanced version, Toyota Safety Sense™-P, then come explore these features for yourself in a new Toyota at our Toyota dealership near Fort Lauderdale, FL. 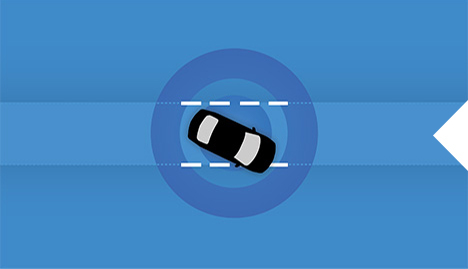 Dynamic Radar Cruise Control uses vehicle-to-vehicle distance control, adjusting your speed to help you maintain a safe distance from the vehicle in front of you. Dynamic Radar Cruise Control functions by using a radar and camera to measure your distance from and relative speed of the vehicle in front of you, gently accelerating or decelerating your Toyota when appropriate. Should more urgent braking be needed, the Dynamic Radar Cruise Control system will provide audio and visual alerts as it applies the brakes. Select Toyota vehicles also offer Full-Speed Range Dynamic Radar Cruise Control, which functions between 0-110 mph. Fight distracted driving with Lane Departure Alert, which helps you avoid the consequences of drifting out of your lane by alerting you and encouraging you to correct your path. Lane Departure Alert only works when you are traveling at speeds above 32 mph, and when you are on roads with clearly marked lanes. In TSS-P-equipped models with Electronic Power Steering, Lane Departure Alert is complemented by Steering Assist functionality, which can automatically make small corrective steering inputs to help you keep your Toyota in its lane. Get a better view of the road ahead and let others know you’re coming with Automatic High Beams. 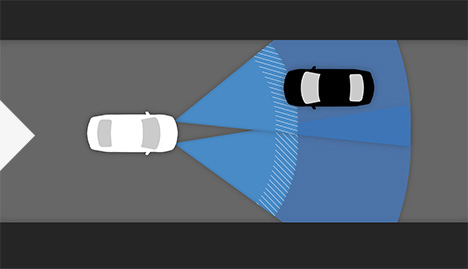 This technology activates at speeds above 25 mph, and uses an in-vehicle camera to help detect the headlights of oncoming vehicles and taillights of preceding vehicles. The system then automatically toggles between high and low beams, granting you extra visibility without blinding other drivers. You can help avoid frontal collisions altogether with the Pre-Collision System. 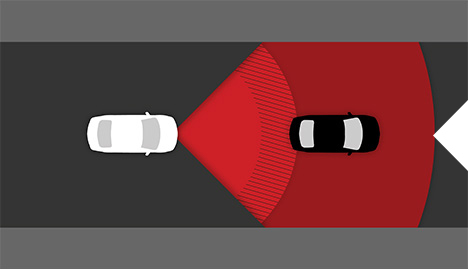 This technology uses a laser or radar and an integrated camera to detect vehicles in front of you, and can leverage the power of Brake Assist to help you stop in time. 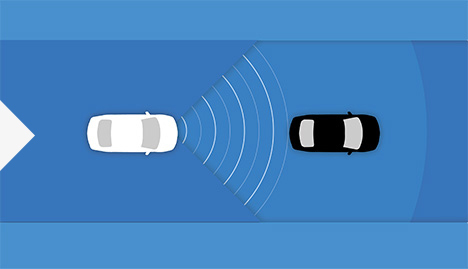 The Pre-Collision System prompts you to apply the brakes using visual and audio alerts if it determines a collision is likely, but can adjust your brake output if you are not braking hard enough. Additionally, some Toyota models also offer Pedestrian Detection, which takes the Pre-Collision System’s capabilities another step forward. Come to Toyota of Hollywood FL to see our expansive inventory of Toyota models equipped with Toyota Safety Sense™, and test-drive your favorite today!